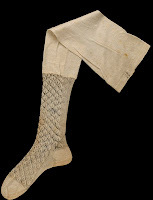 While rummaging around on the V&A Search the Images I stumbled across these beautiful images of socks and stockings from across the centuries. 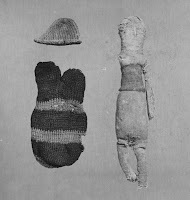 Once you start to learn just how to make these things, you start to appreciate them as small but wonderous (and somewhat unappreciated?) works of art. Images 1 and 2 have bible mottos woven into the upper part of the stocking. 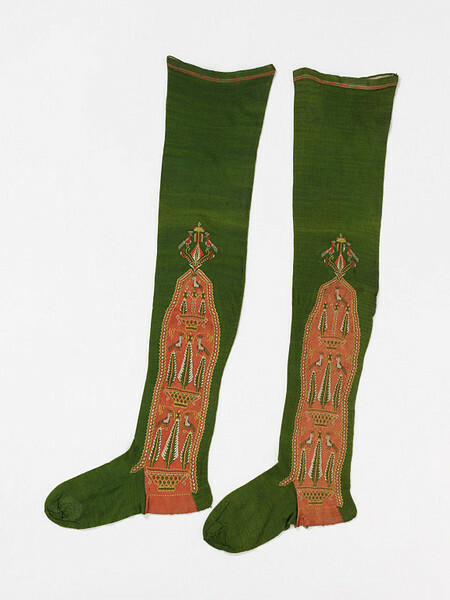 These were both most likely produced for the Great Exhibition to show the high quality that manufacturers' machines were capable of. Image 3, 4, 5 show socks produced in Egypt in 250-420 AD, 410-540 AD and 200-499 AD respectively. They all use the single needle method of knitting which was much more time consuming than knitting with two needles and more like a form of sewing to knitting with two needles. 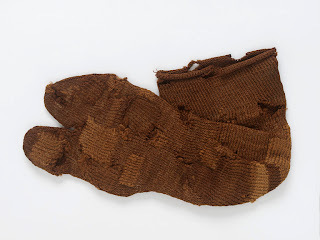 The double-toed design meant that they could be worn with sandals, although the patching shows that wear and tear was common, though the socks were repeatedly mended. 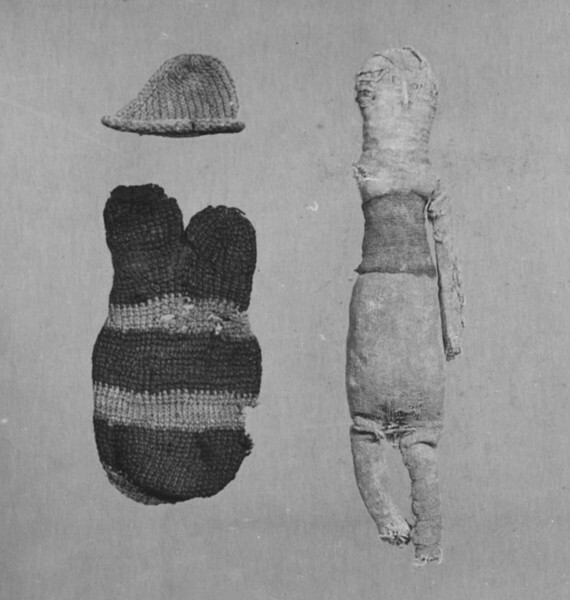 Image 6 has little information but was knitted in England in 1838. 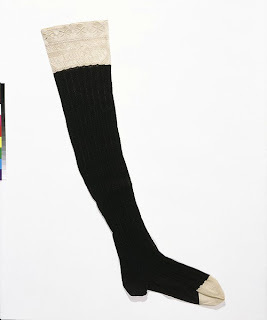 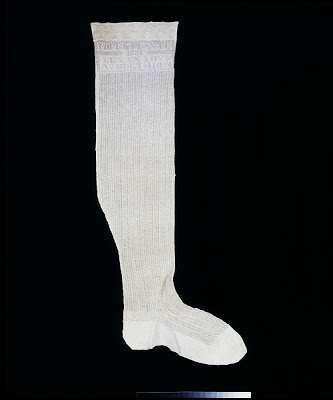 Image 7 shows a pair of women's stockings made of knitted silk, in Spain, during the mid 18th century. 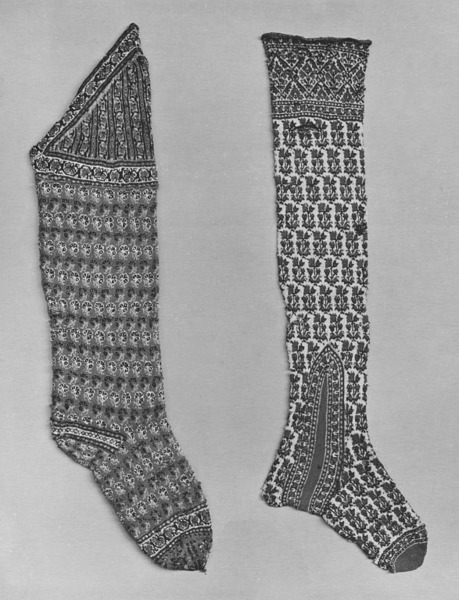 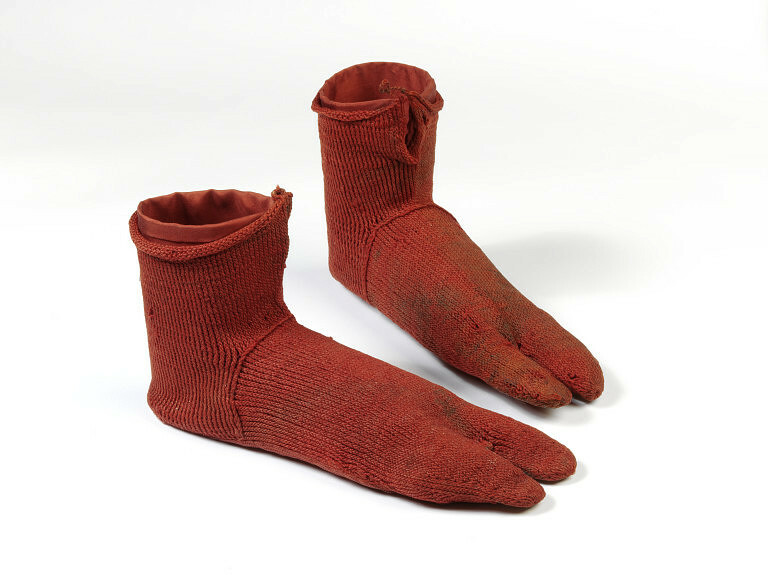 Image 8 shows a pair of hand-knitted men's stockings in coloured wools, produced in Kashmir in the 19th century.